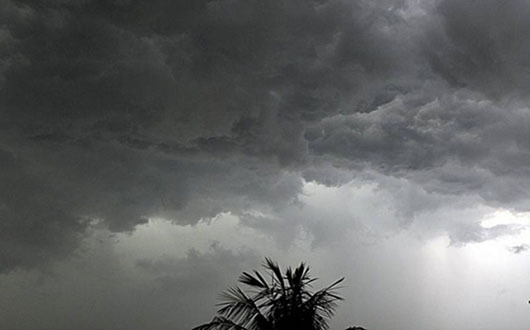 Bangladesh Meteorological Department (BMD) today predict rain or thundershowers across the country till tomorrow. “The ongoing rainy condition may continue at some places across the country till tomorrow … The Southern part of the country may experience excessive rain during the period, “BMD Meteorologist Bazlur Rashid told BSS this morning. Rain or thundershowers accompanied by temporary gusty or squally wind is likely to occur at many places over Khulna, Barishal and Chattogram divisions and at a few places over Dhaka and Sylhet divisions and at one or two places over Rajshahi, Rangpur and Mymensingh divisions with isolated hails at some places over the country, a BMD bulletin said. Day temperature may rise slightly over northern part and it may remain nearly unchanged elsewhere over the country. Night temperature may rise slightly over the country, the bulletin added. 14.3 degrees Celsius at Tetulia in Rangpur. The highest rainfall in the last 24-hour as of 6am today was recorded 33 mm at Mymensingh. The sun sets at 6:03 pm today and rises at 6:16 am tomorrow in the capital. Rain or thundershowers accompanied by temporary gusty or squally wind is likely to occur at many places over Khulna, Barishal and Chattogram divisions and at a few places over Dhaka and Sylhet divisions and at one or two places over Rajshahi, Rangpur and Mymensingh divisions with isolated hails at some places over the country, a BMD bulletin said. Day temperature may rise slightly over northern part and it may remain nearly unchanged elsewhere over the country. Night temperature may rise slightly over the country, the bulletin added.